Using the System Color Panel's color picker. 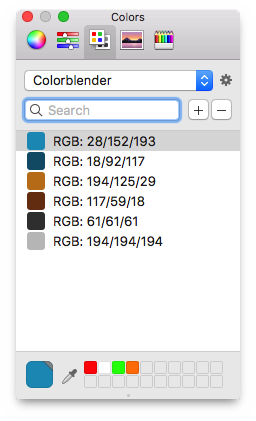 Adding more of a specific color by clicking on the smaller color swatches. Using the RGB color value sliders. Entering numerical values for RGB, HSV, or HTML-RGB.